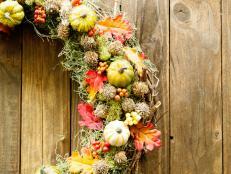 The leaves are falling and pumpkin spice everything is hitting the shelves - that means it’s time for a new DIY wreath. 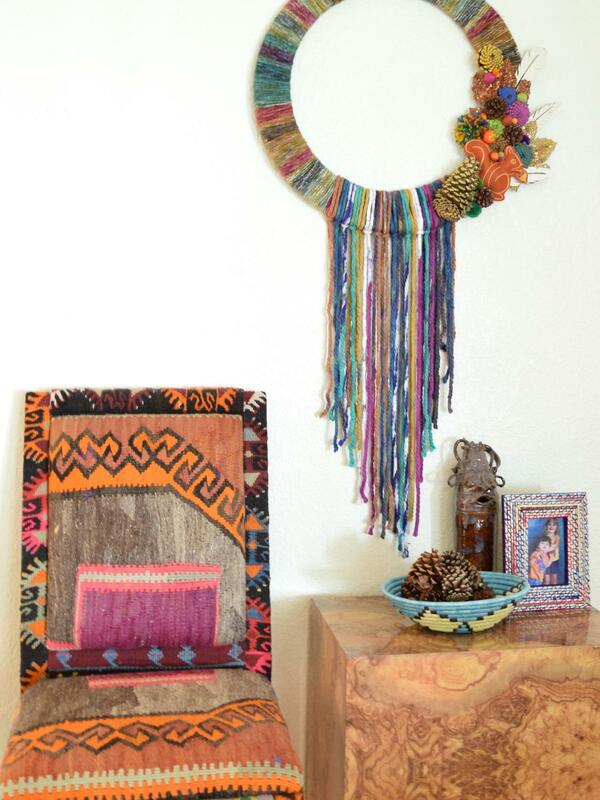 Skip the traditional and give fall the bohemian treatment with this gorgeous wreath meets wall hanging. You will need two embroidery hoops, one slightly larger than the other. 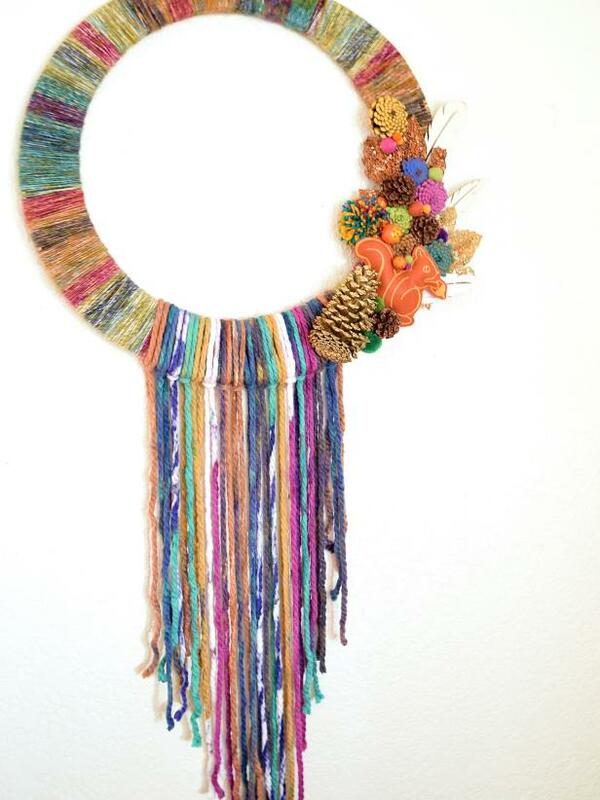 The size depends on how large your wreath will be. 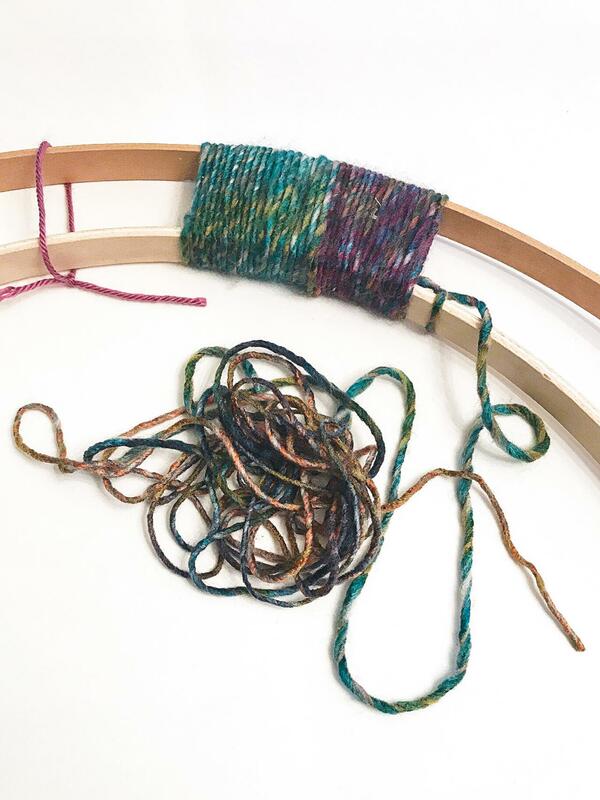 Tie the two rings from the embroidery hoops (not the rings with the hoops) together in four places. Using yarn (variegated was used for this wreath) wrap the two hoops together until the entire thing is covered with yarn. 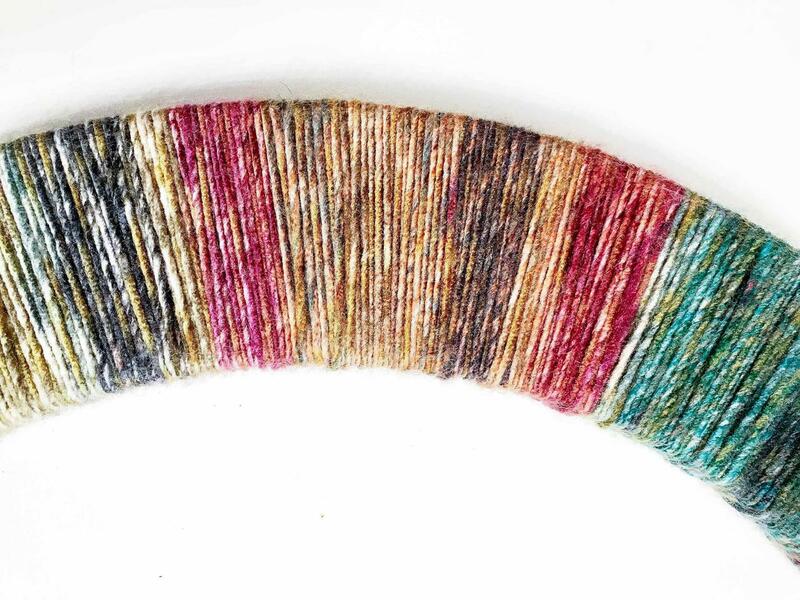 At the bottom of the wreath add a chunkier yarn tail. 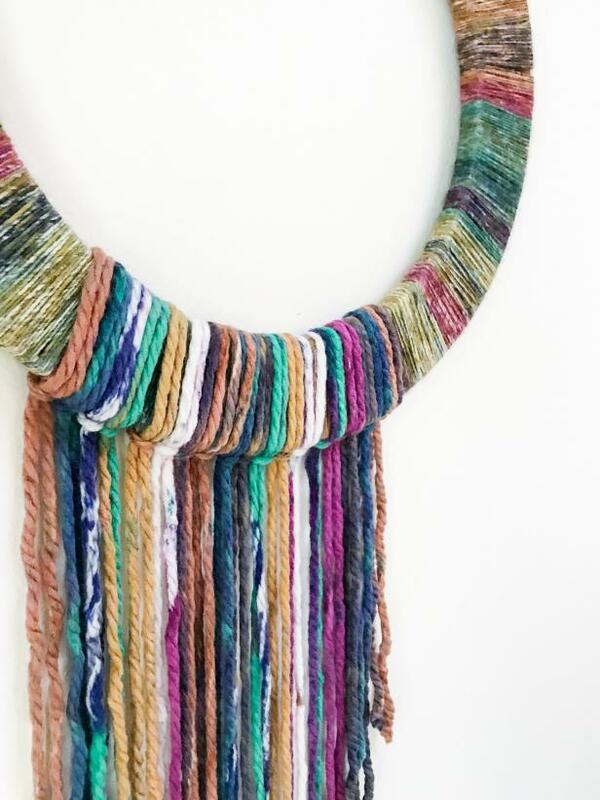 Use long strands of yarn and make a rya knot. 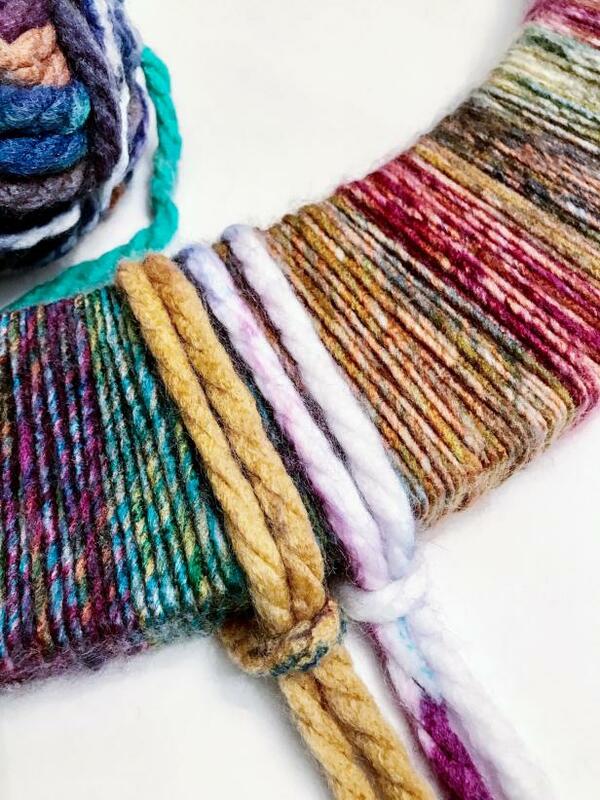 Trim the long yarn tail into a tapered design. 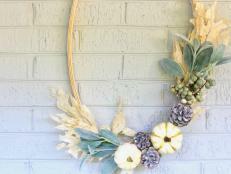 Pinecones are a must for any fall wreath. Take those cones to the next level by cutting and painting them. 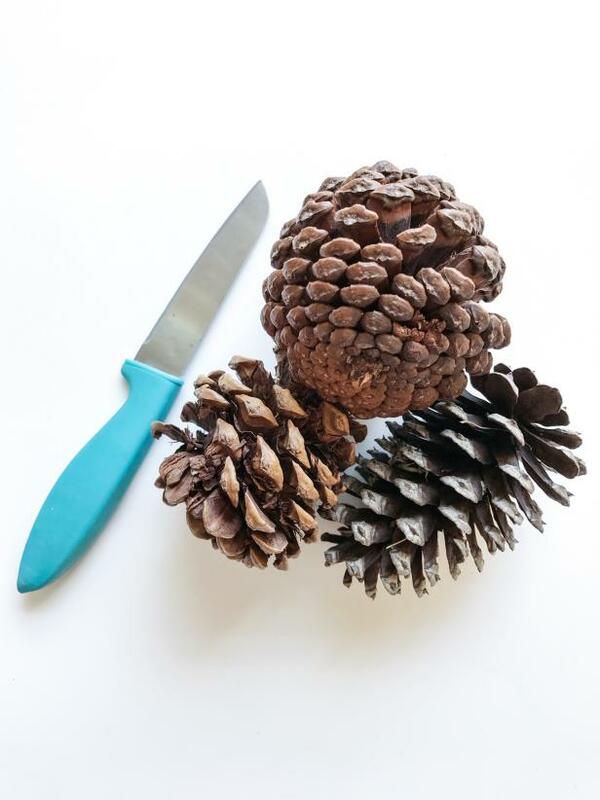 Using a craft knife or pruning sheers remove the bottoms of several pinecones. Choose pinecones that have a bottom that resembles a zinnia. 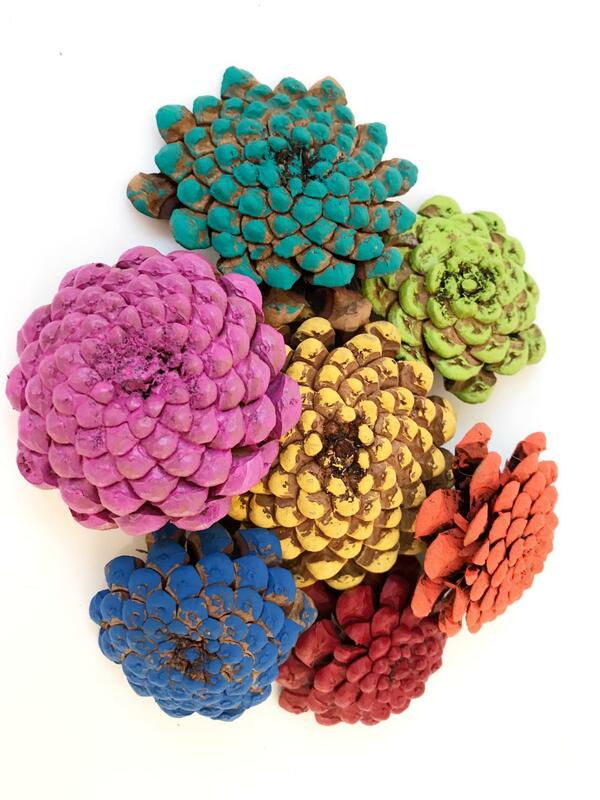 Craft paint or spray paint can be used to adorn the pinecone zinnas. Allow to dry completely. Using hot glue, attach pinecones and other elements off set on one side of the wreath. 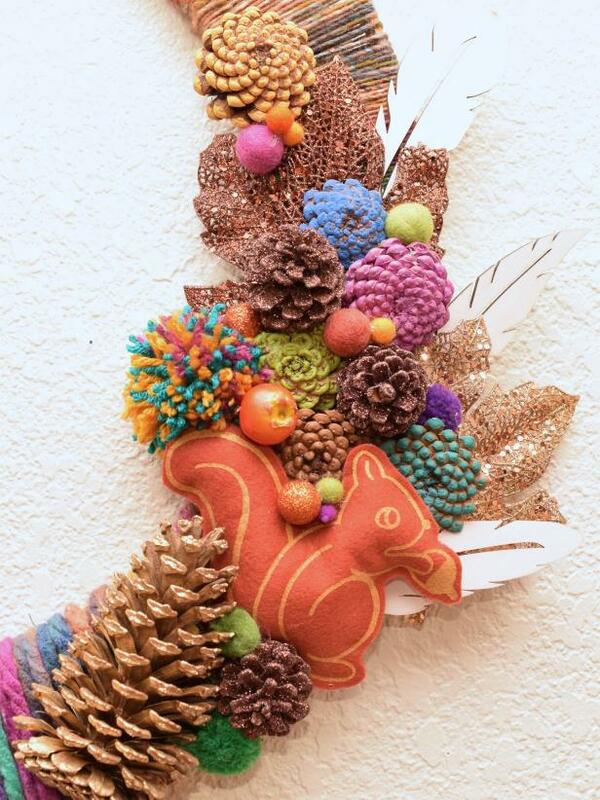 Pompoms, felt balls and a small plush squirrel were added. 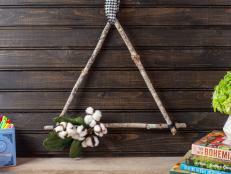 Use a wreath hanger on the door or a nail for the wall to hang. The wreath will be heavier on one side so an additional nail or double sided tape may be necessary on the back of the lighter side.